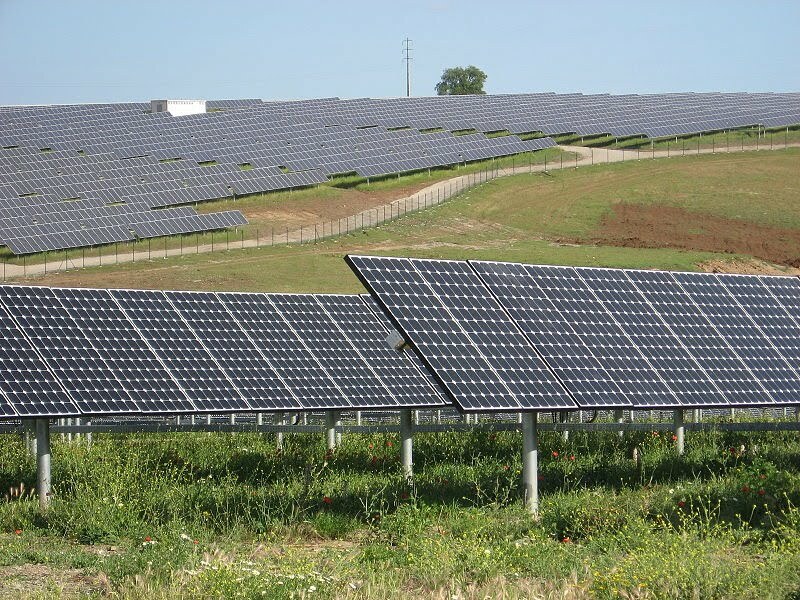 The solar farm is not neccessarily a bad use of marginal farmland, in hot areas. The shade from the panels will reduce ground temperatures, and moisture evaporation, and ground level wind speed. Also makes good shade for farm animals. You can crop the area, but for grazing it would help in these situations. The connecticut example is a classic case of politics trumping reason. If they want to reduce greenhouse gases, just reduce heating oil use, period. it has the highest CO2 emissions of any heating fuel other than coal, which I suspect is not much used, even there. If they wanted to do something for local industry, they would have been better off subsidising pellet boiler conversions, as pellets are made in the northeast, though not CT.
Of course, if they want to highlight CO2 emissions, they would do a carbon tax, but that isn't going to fly either. Given CT's situation, with no agriculture to speak of, this seems like a case of politicians doing something for the sake of doing something. Heaven forbid they ever do something for a reason! Our politicians are not really qualified to deal with today's energy issues. We need a better system to deal with the complexity. Maybe each piece of legislation should be publicly debated on blogs before implementation. One question, prompted by your photo: the panels are supported on pipes. Would you know whether those pipes are simply pounded into the ground (and therefore can be extracted later), or are they set in concrete? If the latter, does the concrete come up within plowing range of the surface? 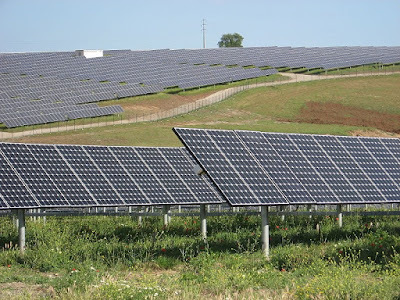 I ask, because that could make the difference between whether the land, if it were arable land, could easily be reverted back to crop farming if and when the solar panels were to be decommissioned. Ron, It doesn't much matter. Even if the posts are set in concrete, when you go to pull them up, the concrete comes with them. It is more work than pulling out unconcreted posts, and I think to set them all in concrete is an over kill, but in the end, you, can get them, and the concrete, out. That would be waste a lot of infrastructure to return this to farmland, and this looks like less than prime cropland to me. I tend to agree with Paul, Ron. It would not take an excavator long to dig out whatever concrete is there. There may be no concrete if these were driven into place like pier posts.